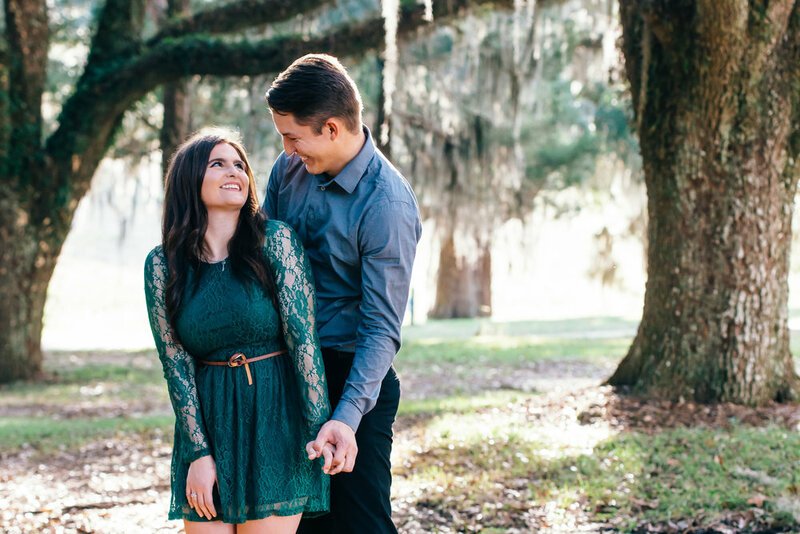 Caitlyn and Stephen's love story is a fairy tale come to life. 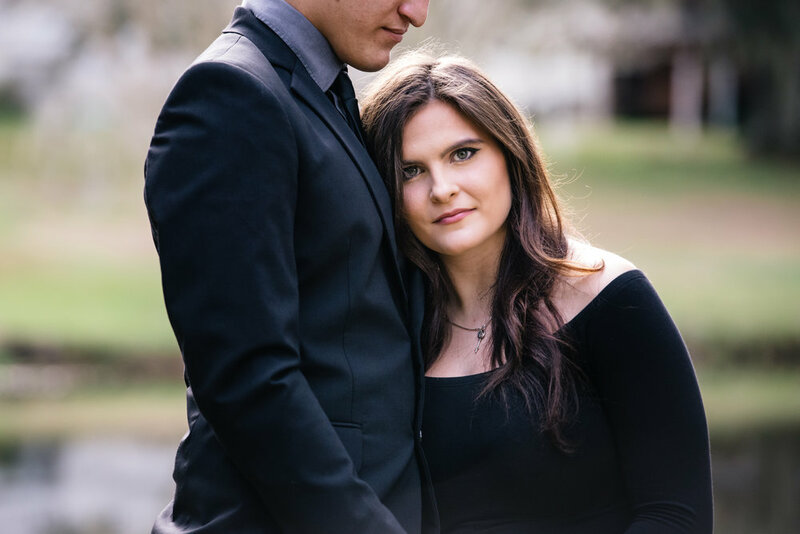 Caitlyn was heading into her senior year of high school and Stephen had just graduated. They struck up a friendship before realizing they cared for one another very deeply. With Caitlyn's prom just around the corner, Stephen wanted to make sure they were going as more than friends. He asked if she would be his girlfriend, and of course she said yes! The next two years meant starting college, exploring new places, having each other's backs during the stressful times and supporting one another's dreams. On Caitlyn's birthday, Stephen took her to Downtown Baton Rouge and they sat by the water under moonlight. To show his commitment and love he gave Caitlyn a beautiful promise ring. "You're my always, you're my forever. You're my reality, you're my sunshine. You're my best times, you're my anomaly. 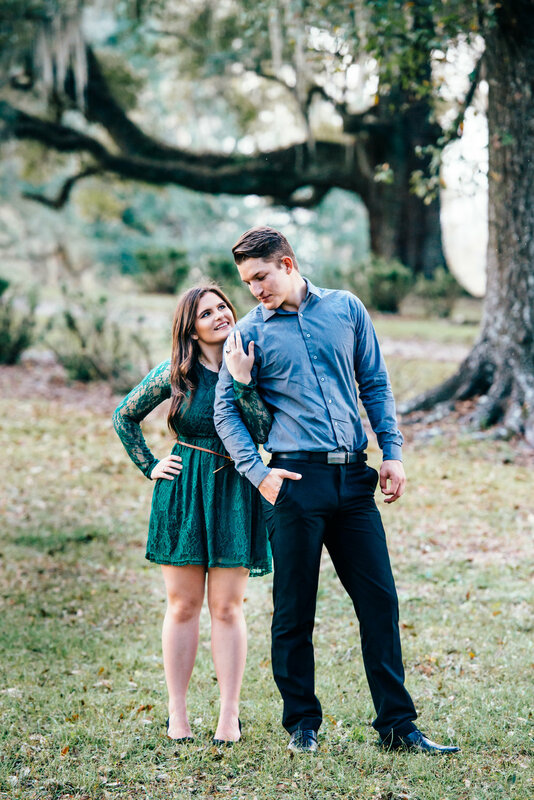 And I'd choose you in a hundred lifetimes, I'd choose you in a hundred worlds, I'd find you..."
Caitlyn and Stephen love taking plantation tours and on September 18th, 2016, Stephen arranged a big surprise. He called Caitlyn's friends Courtney and Blane for some help. They toured Greenwood Plantation in St. Francisville, Louisiana. After seeing the home, they wandered the property and found a beautiful pond. Stephen said he wanted a photo with Caitlyn and handed over his phone. Before they could get into place, Stephen dropped to one knee. No one remembers what was said through all the tears and excitement, but you can guess what her answer was! Caitlyn's ring was designed by Stephen; it's a black diamond, truly unique, and everything Caitlyn wanted. 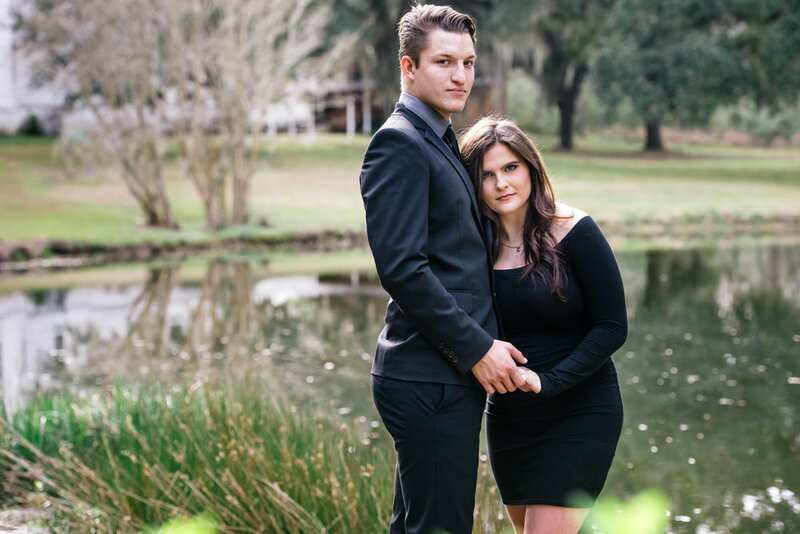 We photographed their engagement session at Greenwood Plantation and even snagged a few photos at the spot Stephen proposed! Although Caitlyn is a cat person, this little guy wanted nothing more than to be her new best friend. Alongside planning their December wedding, they love taking jeep rides, hiking, fishing and spending time with their families. Their relationship has always been Christ centered, something they know has helped them stay strong through thick and thin. 1 Corinthians 13:7-8 has always been a favorite scripture for Caitlyn. The idea that love is protective and persevering resonates strongly with her and Stephen. 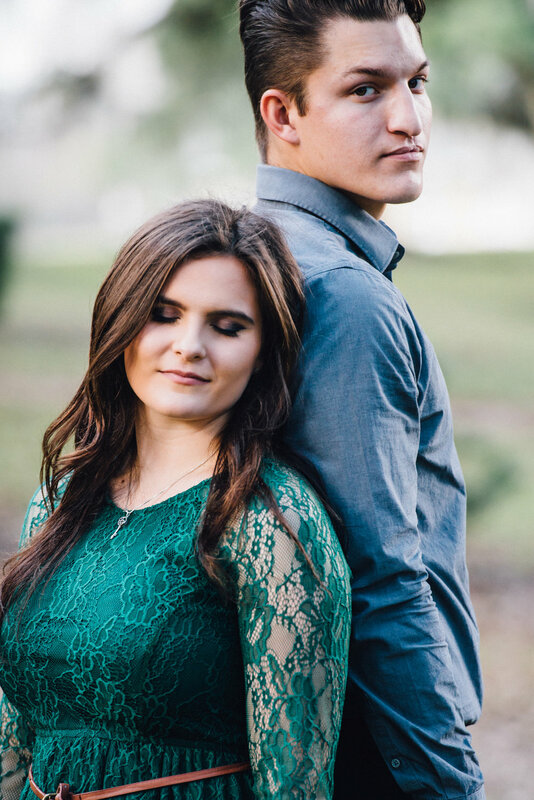 Thank you, Caitlyn and Stephen, for allowing me to capture this wonderful step in your lives. 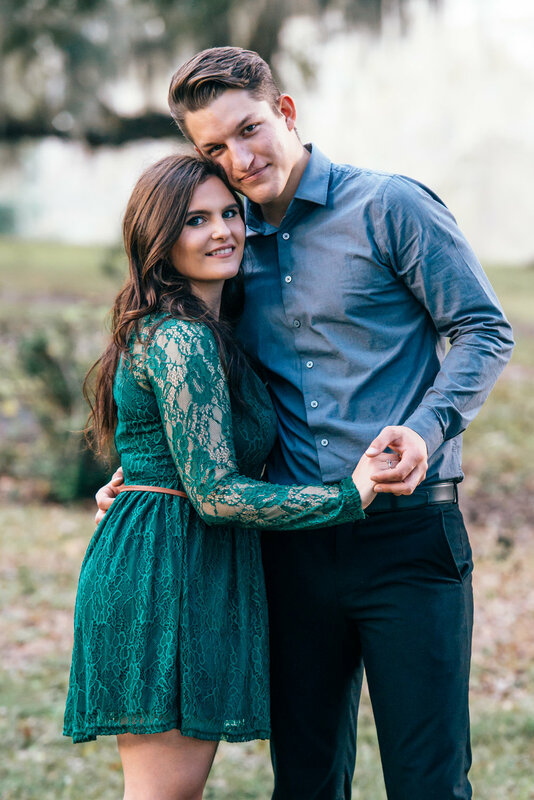 I cannot wait to photograph your beautiful wedding!